Nu Way Concrete Forms, Inc., has been the industry leader in the manufacture, sales, and rental of concrete forms, equipment, and accessories since 1955. With a seven-acre main headquarters in south St. Louis County, we also have facilities in Jefferson City, Jackson, and Wentzville, MO and Troy, IL, giving us the opportunity to provide quality service to all of southern and central Missouri and southwestern and central Illinois. Originally, the founders, brothers Adolph Rhomberg and Arthur Rhomberg, Sr., were carpenters, both involved in the industry during the days when forms for each concrete foundation or wall was individually built on-site from timbers and boards. Each brother was an independent contractor with his own company. In 1953, the brothers saw the introduction of the then-new Simplex Forms, one of the first reusable concrete forms. Ever the innovators, the Rhombergs saw a "new way" for forming and put them to use. In 1955 this "Nu Way" became the company name as they joined forces to form Nu Way Concrete Forms, Inc., in south St. Louis County. 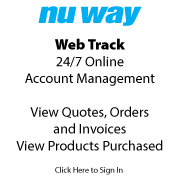 Although Nu Way originally manufactured forms, the business soon turned primarily to the sales of concrete forms and accessories, as well as consulting. Over the years, Nu Way continued to grow not only in product lines but in reputation. In 1990, Nu Way added a full-line Rental Department to rent most of the equipment that it sold. In 1991, with a Sales, Service, and Rental philosophy now in place, Nu Way began to rely on its excellent reputation and opened its first branch, located in Jefferson City, Missouri. As Nu Way continued to expand, space became an issue. So, in 1992, the headquarters were moved to a seven acre site along Highway 55 in south St. Louis County, mere miles away from the previous location. The new location offered increased opportunities and Nu Way continued to grow. In 1996, Nu Way’s growth forged a new branch in Jackson, Missouri. The successful opening of the third location solidified Nu Way’s continuous yearning for growth. Then in 2002, Nu Way opened a 50,000 square foot location in Wentzville, Missouri. In so doing, Nu Way also helped pioneer the concept of the Builders' Resource Park, a one-stop shopping zone for professional building contractors. With the successful opening of Wenztville behind us we are continuing the Business Resource Park concept in Troy, Illinois which opened in March 2005. Like Wentzville the new state of the art facility features 16,200 sq. ft. of showroom space, bright open aisles, 20 ft. ceilings, supported by 24,300 sq. ft. of warehouse along with five acres of outside storage. All five Nu Way locations feature the same professional services, products and rentals. The Nu Way Companies continue to be operated by the Rhomberg Family, and maintains the hard working business philosophy started by Adolph and Art Sr.